FROM MELBOURNE: Head up the Hume Highway north towards Sydney. Approx 25km from Albury, take the Bowna Rd exit on your right and continue approx. 5km till you see the blue road sign that says “Great Aussie Holiday Park – 200m”. Turn right onto Wymah Road and continue along this road for approx 6 km. Turn right onto Hore Road to enter the park. Great Aussie Holiday Park covers over one hundred hectares of scenic rural landscape with two kilometres of private foreshore on the banks of Lake Hume. Great Aussie Holiday Park offers a wide range of accomodation types – Poolside Villas, Parkview Villas and Cabins, Ensuite Sites, Powered and Unpowered Sites. Our accommodation is varied and will suit all budgets and tastes. Plus, our park is dog friendly and we welcome your dogs at our camping sites. Great Aussie Holiday Park is only 25 minutes from the hub of Albury/Wodonga and a short drive to some of the best Alpine outdoor adventure playgrounds, cellar-door wineries, award winning restaurants, boutique shopping and more. 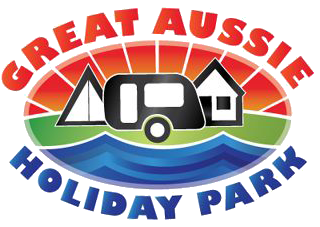 Please write your message to Great Aussie Holiday Park in the message box. We will make sure that they get your message ASAP.